Xenograft tumor models are significant to assess preclinical therapies. The MIA PaCa-2 CDX model is a cell line derived xenograft mouse model used in studying the mechanism of action (MoA) of cancer therapeutics. All models exhibit strengths and weaknesses, with single layer in vitro cell line studies lacking vasculature and stroma within a tumor microenvironment. 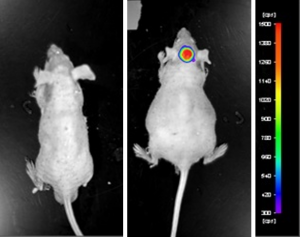 However, in vivo studies utilizing the MIA PaCa-2 CDX model enables a realm of preclinical drug development, including tumor inhibition studies of novel compounds (e.g. diarylsulfonylureas; DSU), or tumor growth inhibition studies focusing on the combination of standard therapies (e.g. gemcitabine or docetaxel) in combination with CS-1008 treatment, an antibody targeting anti-human death receptor 5 (DR5).